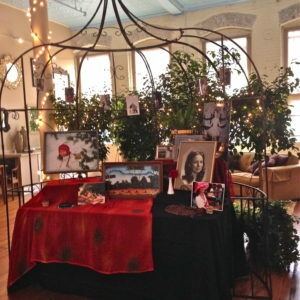 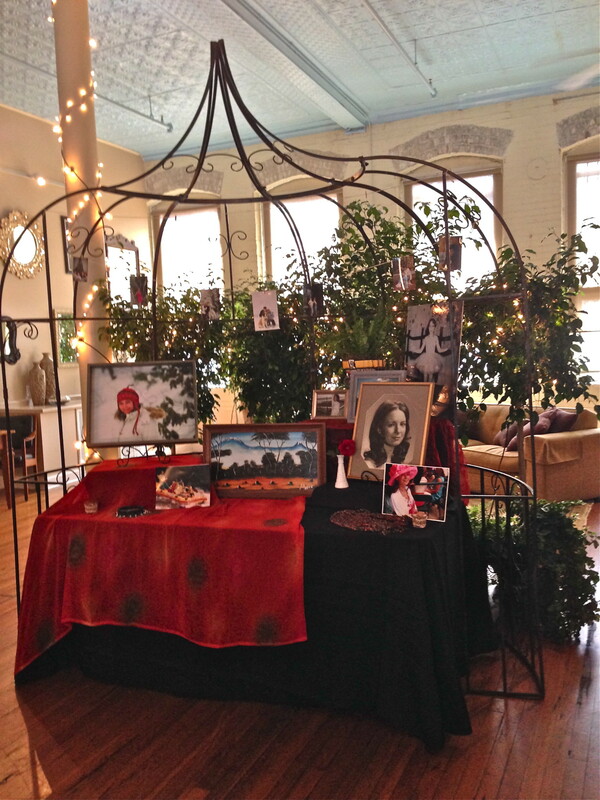 “On Broadway” in the Historic Broadway Arts Building is located in the heart of downtown Asheville, NC. 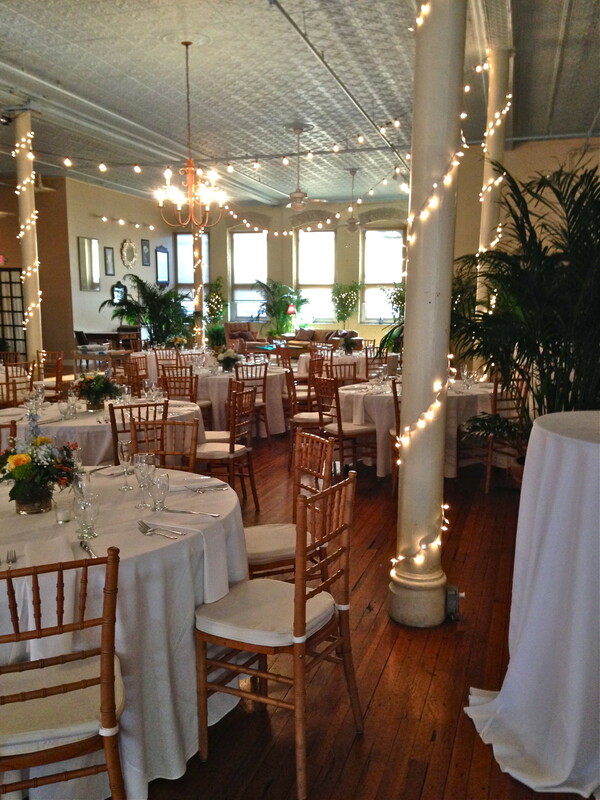 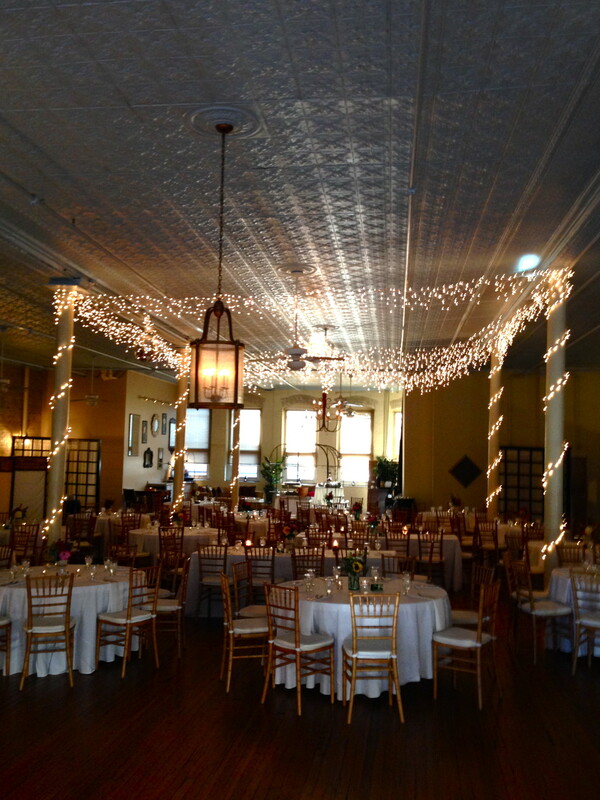 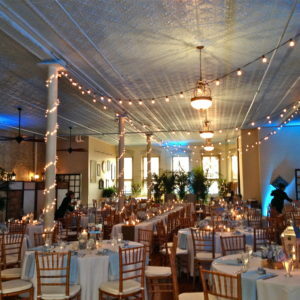 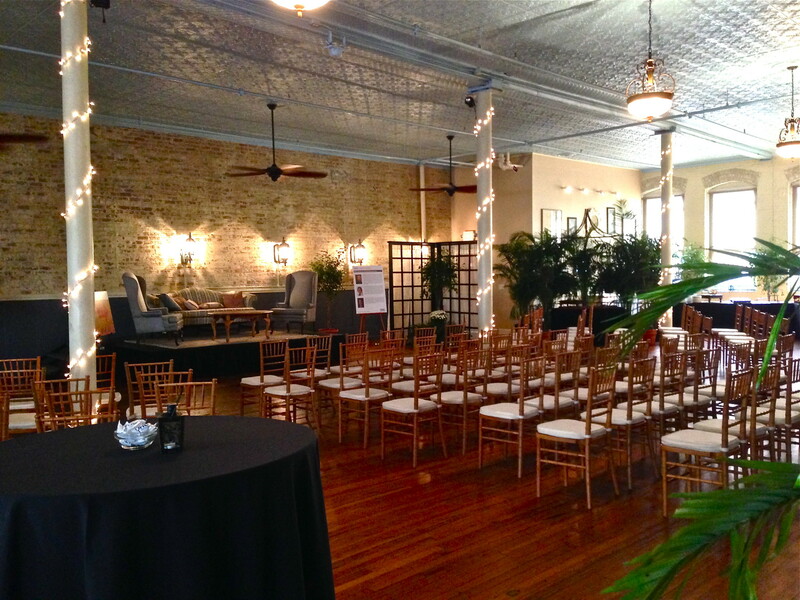 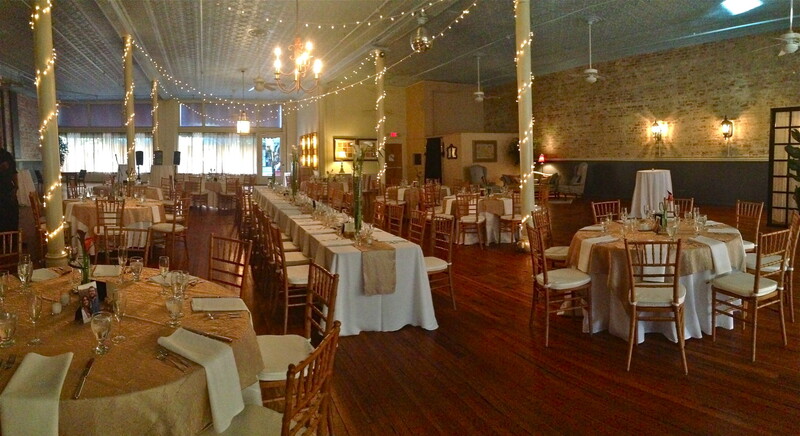 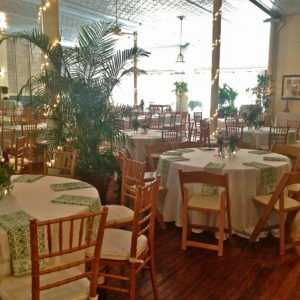 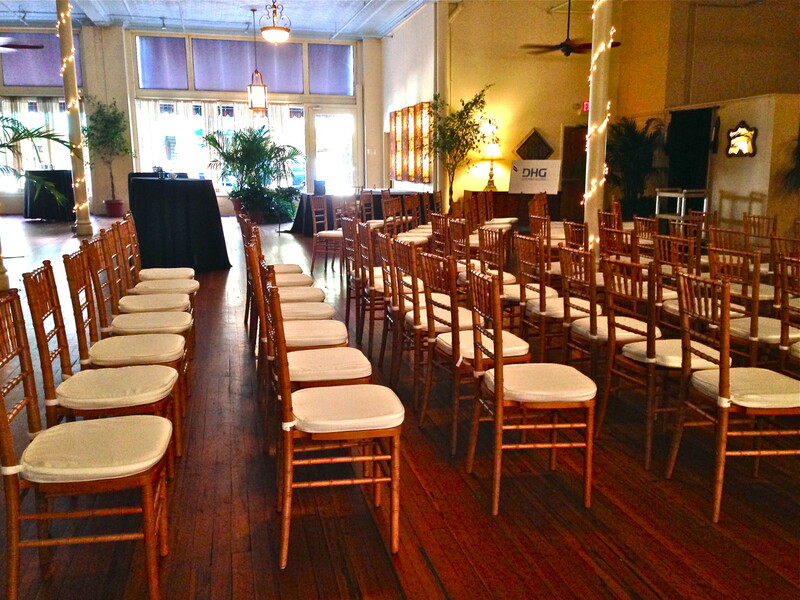 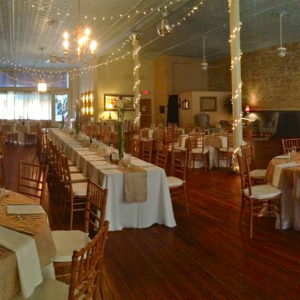 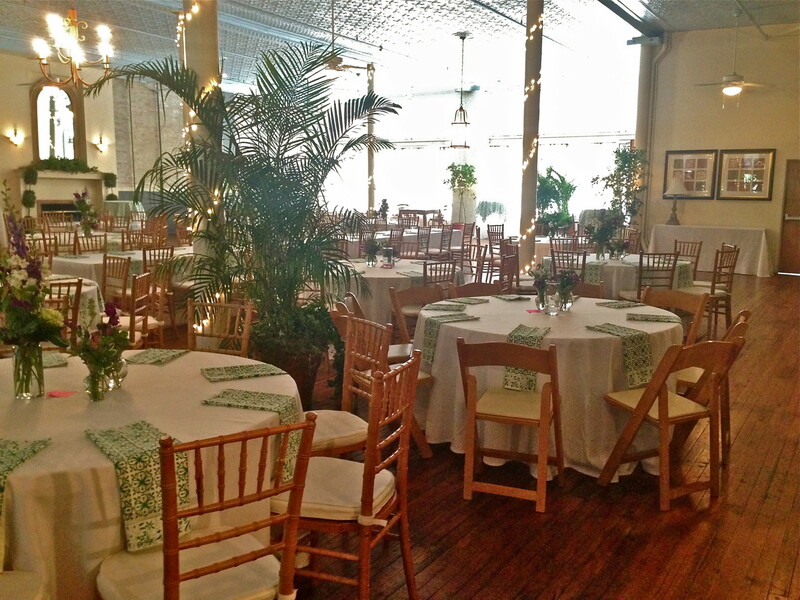 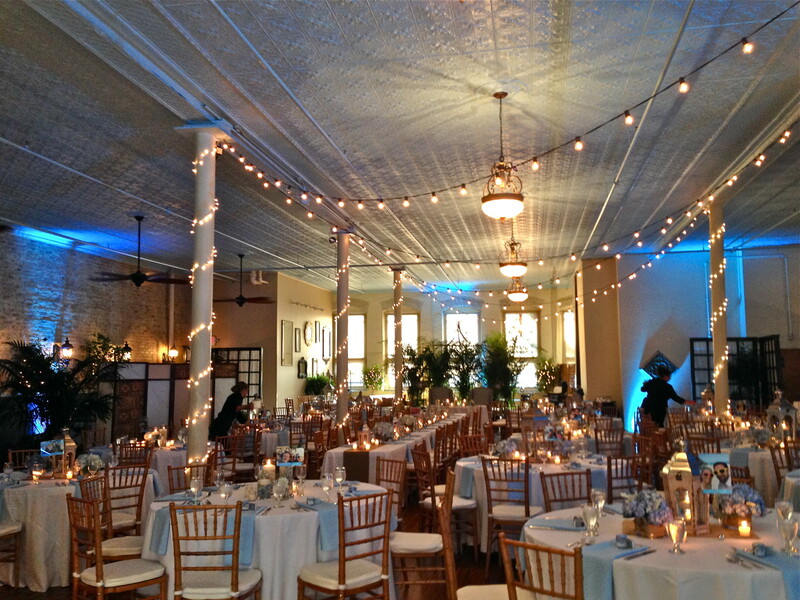 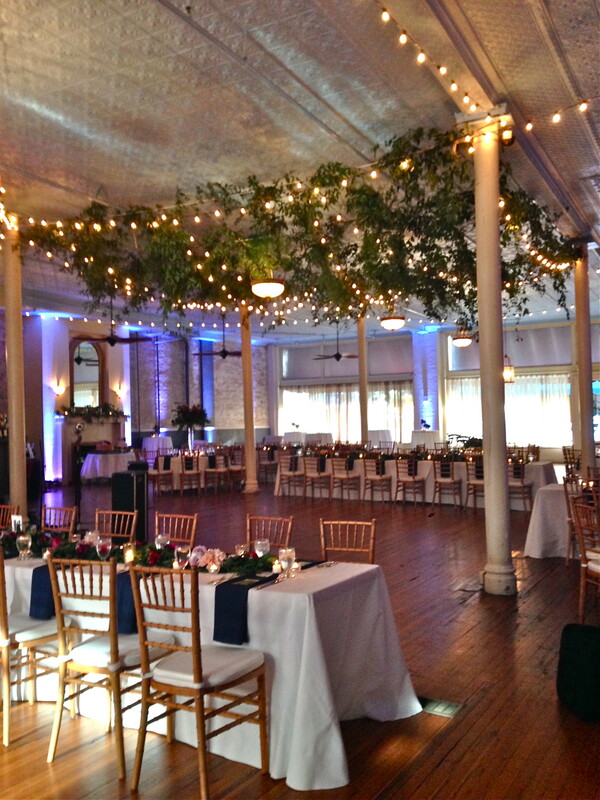 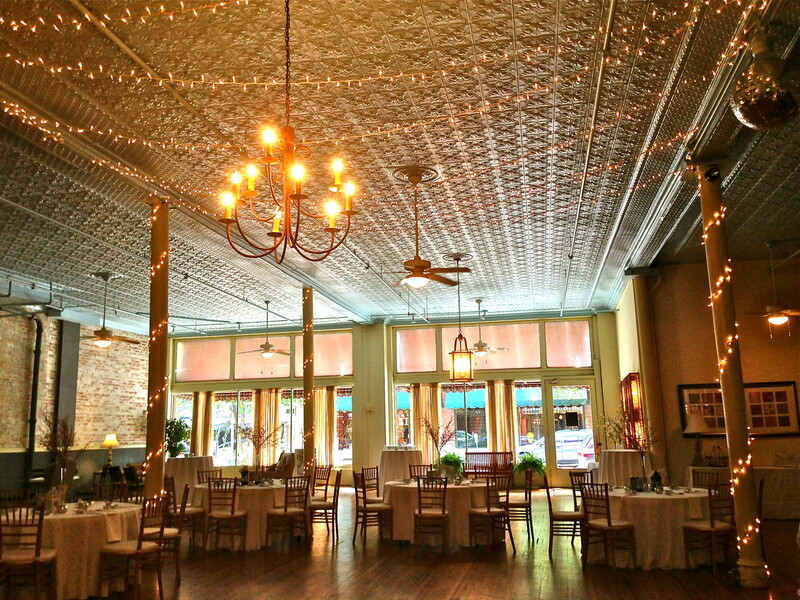 A vintage urban venue, “On Broadway” is ideal for corporate dinners, fund-raisers, anniversary and birthday celebrations, rehearsal dinners, wedding receptions and more! 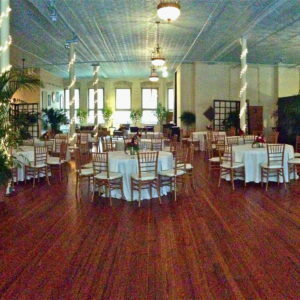 The Broadway Arts Building was built in 1928 and boasts 6,000 square feet of hardwood floors and original tin ceilings. 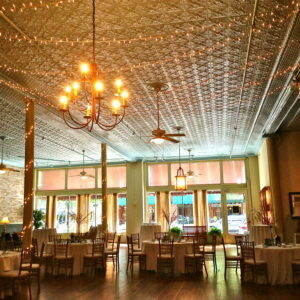 “On Broadway” comfortably accommodates up to 200 seated guests and up to 275 guests for a cocktail-style reception. 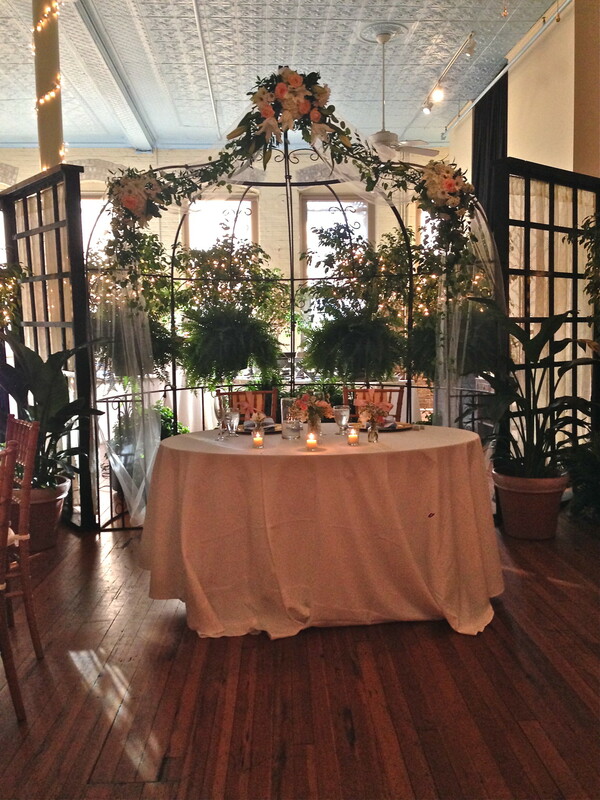 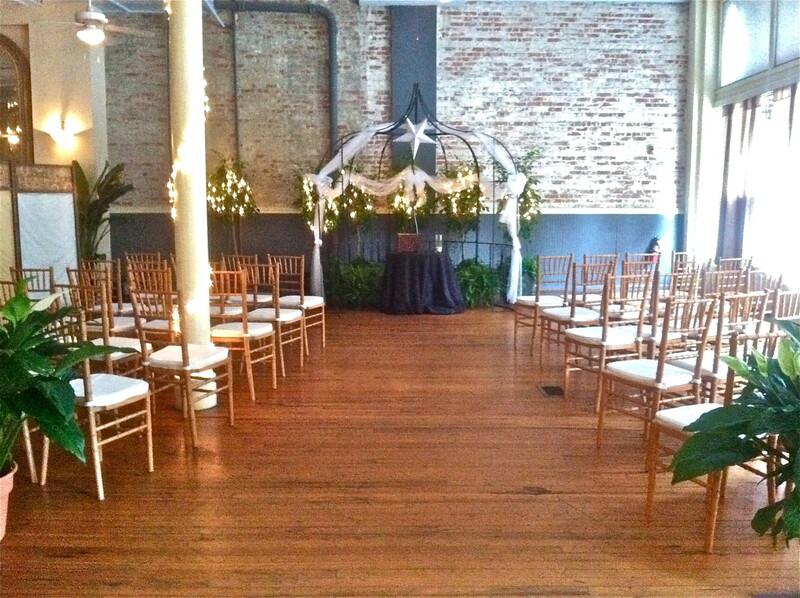 Our wrought iron arch makes a beautiful backdrop for wedding ceremonies and can also be used to showcase your lavish wedding cake or desert display. 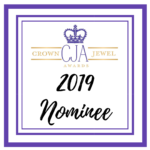 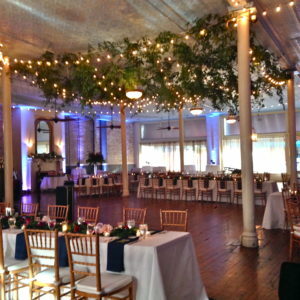 Whether you are seeking a traditional, unique, elegant or extravagant celebration, this remarkable venue offers our clients a chance to transform their vision into reality. 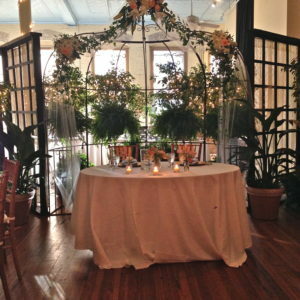 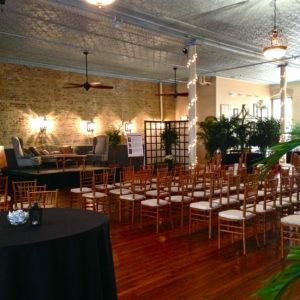 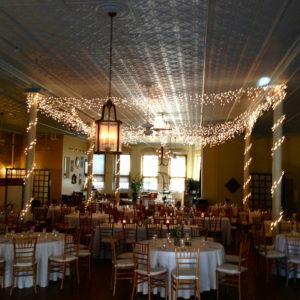 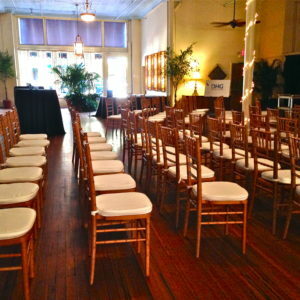 Our “On Broadway” packages include round and rectangular seating tables, high cocktail tables, beautiful chiavari chairs and several parlor-style lounge areas. 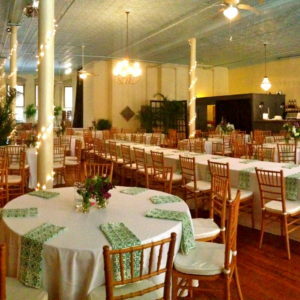 We also provide all staff, linens, china and glassware. 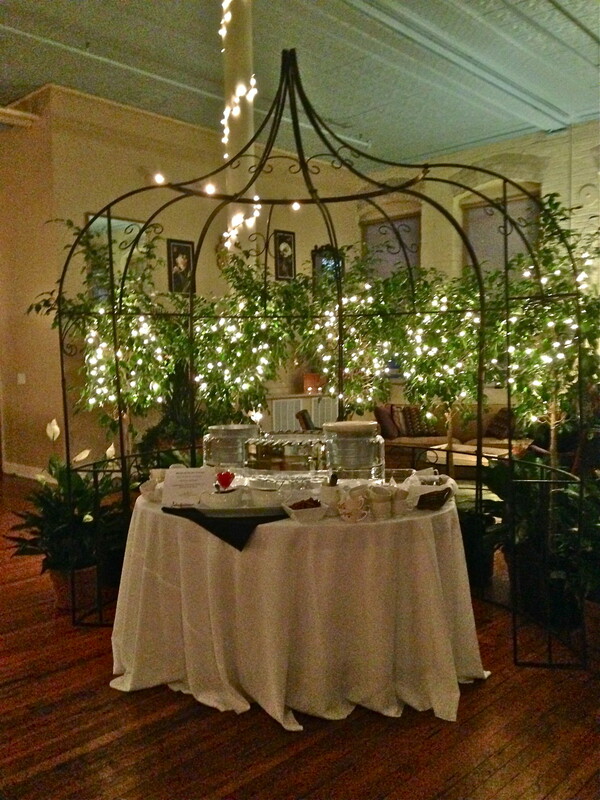 Our in-house bar option embraces the local beer and craft cocktail culture. 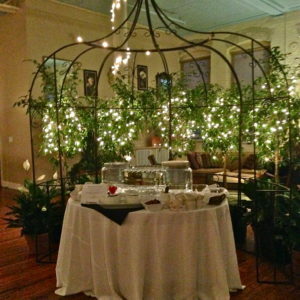 Our bar services include a selection of local beer and carefully selected wines. 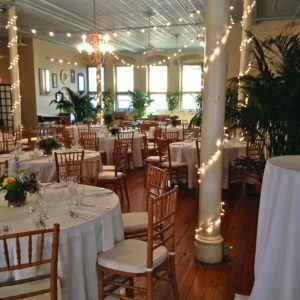 Special event liquor permits can be obtained, giving our clients the opportunity to hand-select their favorite spirits…we love to create specialty cocktails! 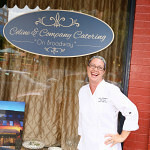 In-house catering is provided by Celine and Company Catering with Chef Kim Lloyd creating delectable menus tailored to each individual client. 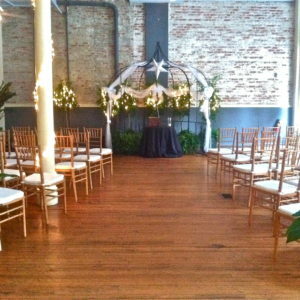 Download the Floor Plan Now!